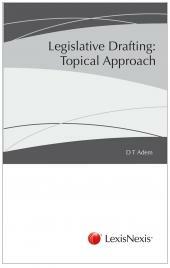 Crabbe on Legislative Drafting has become the best-known reference work on the practice of drafting legislation in Africa and further afield. The author, Professor Crabbe, has trained legislative draftsmen since 1974. This second edition offers readers the benefit of Professor Crabbe's long career, and the experience he has gained in his work at the Attorney General's Chambers in Ghana and from his interaction with other Parliamentary Counsel throughout the Commonwealth. 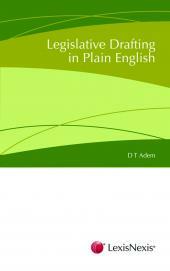 It offers detailed guidance on the language and structure of legislation, and the importance of constitutional and other considerations on the drafting process. The use of subsidiary legislation and limitations on the delegation of powers to make laws is also considered.